This slip-on loafer is made with a genuine moccasin construction, which wraps soft leather completely around the foot. 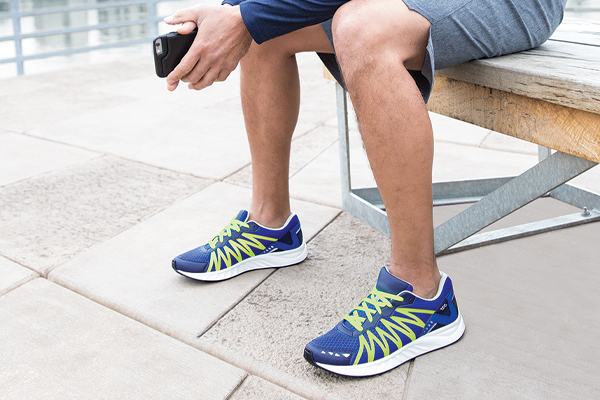 A removable cushioned footbed and shock-absorbing sole offers comfort for all-day wear. A polished premium adornment on the top adds a bit of sophistication to your look. Designed to follow the shape and natural arches of your foot, Metro utilizes our comfortable Tripad-Moc™ Technology for extra comfort and support. Metro provides extra toe room to allow your foot to properly set when walking as well as a soft shock-reducing polyurethane sole for a lighter, cushioned step. SAS Comfort Footbed: Our SAS “SuperSuede™” material is wrapped over a thick shock absorbing cushion in order to provide a comfortable footbed that contours to the foot. Genuine Moccasin Construction: The handlaced moccasin construction wraps soft supple leather completely around your foot and allows great flexibility.